Ireland will come first in negotiations over Brexit and the EU-UK long term relationship, European Council president Donald Tusk said Thursday, while insisting it is not up to the UK to define the EU's interests. 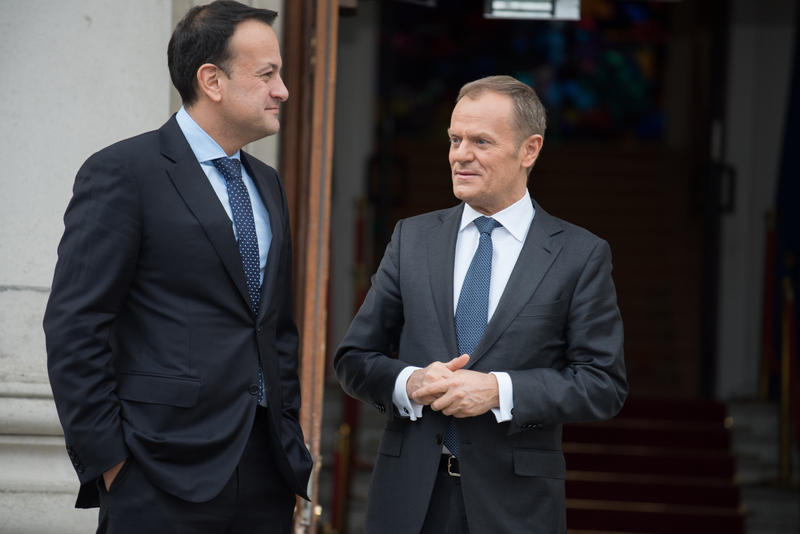 "We also expect the UK to propose a specific and realistic solution to avoid a hard border" between Northern Ireland and the Republic of Ireland, Tusk said in Dublin after a meeting with Irish prime minister Leo Varadkar. "As long as the UK doesn't present such a solution, it is very difficult to imagine substantive progress in Brexit negotiations. 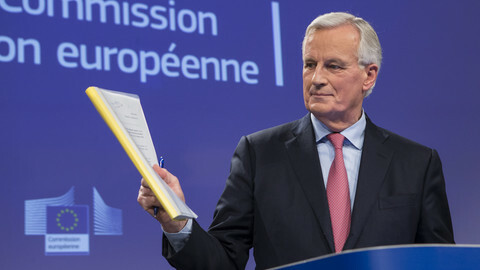 Last week, Brexit negotiator Michel Barnier presented an EU draft legal text for the withdrawal and the transition. 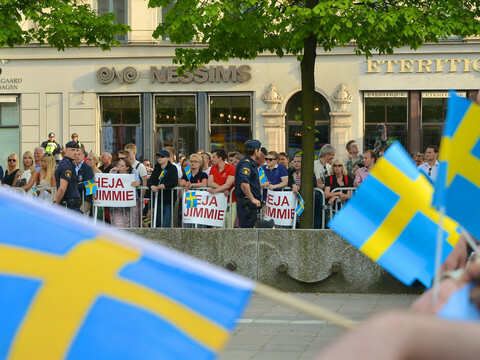 On Wednesday, Tusk unveiled the draft guidelines for the future relationship. 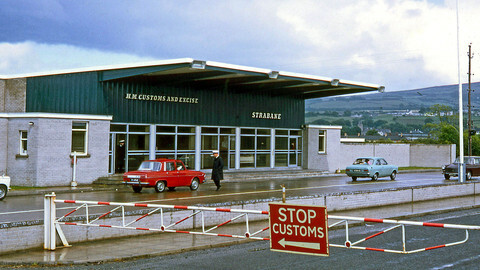 But both negotiations depend on an agreement over the border between Northern Ireland and the Republic of Ireland. 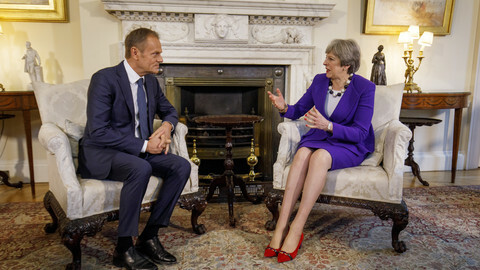 "If in London someone assumes that the negotiations will deal with other issues first, before moving to the Irish issue, my response would be: Ireland first," Tusk warned in Dublin. 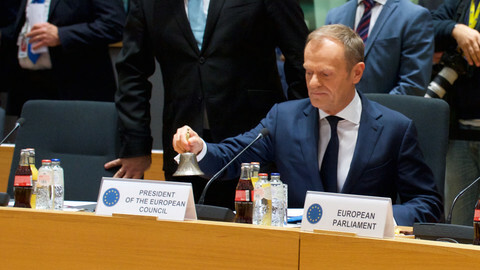 So far, Tusk noted, the UK has rejected a customs and regulatory border down the Irish Sea, in addition to its intention to leave the EU single market and the customs union. 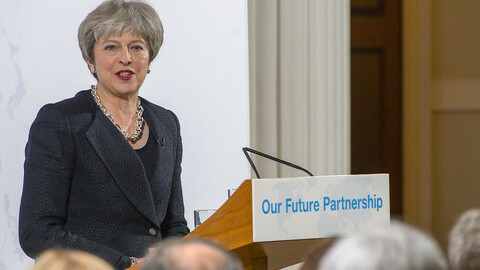 Speaking along the European Council chief, Varadkar said that he was waiting for "further detailed progress to be put forward" by his UK counterpart Theresa May. He warned that if the UK did not "translate into legal terms the principle and guarantees agreed in December" to avoid a hard border, there should be "a backstop of maintaining full alignment in Northern Ireland" with the rules of the single market and custom unions. Tusk also dashed UK's hope to include financial services in the future relation agreement, as demanded by UK's chancellor of the Exchequer Philip Hammond on Wednesday. Hammond had said that it was "hard to see how any deal that did not include services could look like a fair and balanced settlement." "We should all be clear that also when it comes to financial services, life will be different after Brexit," Tusk said. He explained that the EU "can offer trade in goods" but not in services, because "services are not about tariffs. Services are about common rules, common supervision, and common enforcement." 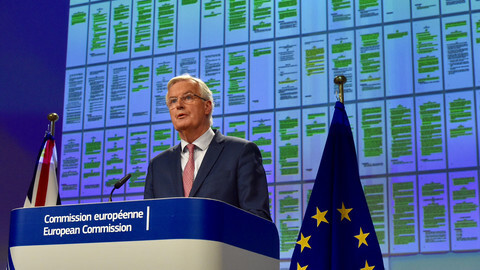 He added that for the EU, the issue was about ensuring a level playing field, the integrity of the single market, "and ultimately also to ensure financial stability." "I fully respect the chancellor's competence in defining what's in the UK's interest. I would, however, ask to allow us to define what's in the EU's interest," he said about Hammond's demands.